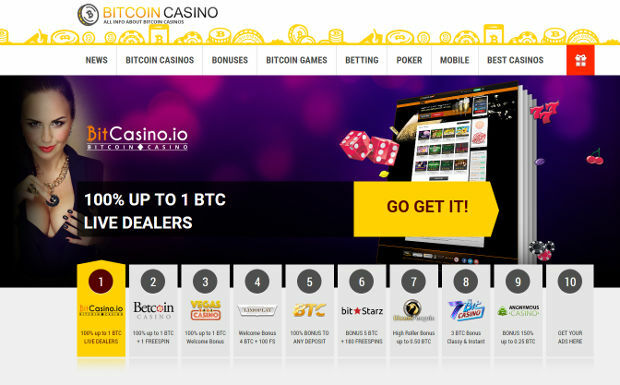 Holistic Casino Guide / Casino News & Discussions / Is It Safe To Use Bitcoins To Gamble Online? Many online casinos are beginning to use Bitcoin as an electronic payment. The crypto currency is still regarded by many as a controversial payment method since there’s a fair amount of anonymity involved. Bitcoin the currency should not be confused with bitcoin the payment system. While some aspects of Bitcoin deserves praise, the manner in which users spend it means that it’s still not suitable for use by Internet gaming operators in a controlled and monitored market place. It was invented by Satoshi Nakamoto. Some experts reckon that its a pseudonym for a talented computer coder or a team of coders. This non-fiat currency is controlled entirely by software. Within the next 20 years a total of 21 million bitcoins will be released by the software. Through a process resembling a lottery, coins are distributed every 10 minutes. The lottery is played over and over by bitcoin ”miners”. The fastest computers employed by miners win the most bitcoins released by the software. As a store of value and an exchange medium, bitcoins have a mixed track record. That being said, as more merchants began to accept bitcoins, their value appreciated. By September 2011, the exchange rate for bitcoins was $5 (USD), down from $29 the previous June. More recently, bitcoins have reached prices as high as $220. There are several gaming websites such as sealswithclubs.eu, btcsportsbet.com and satoshidice.com that operate exclusively using bitcoins. Other operators offer Bitcoin as a payment mechanism. The reason why bitcoin was developed was to address ‘‘the inherent weakness of the trust based model” of electronic commerce. Central banks must be trusted enough not to debase a currency. Retail, commercial and other financial institutions must safeguard the money of consumers. In the estimation of Bitcoin’s inventor, history suggests that this trust has been breached. Evidently Nakamoto’s aim was to establish an electronic payment system based on cryptographic proof and not trust. As such allowing any two parties to transact directly with each other without a trusted intermediary like a bank. With bitcoins, transactions non-reversible and the same bitcoin cannot be spent more than once. This is a good thing because it eliminates fraud. However, I must point out that the critical aspect of bitcoin is its anonymity. Most people would regard it as a lack of transparency. Although most bitcoin buyers and sellers remain anonymous, everyone can see when a coin is moved from A to B. The public can see that bitcoins are being sent to someone else but without information linking the transaction to anyone. It’s pretty much the same as information released by stock exchanges. The time and size of individual trades are made public but without disclosing the names of the parties involved. Apparently one of the bitcoin development team had the following to say: ”Attempted major illicit transactions with bitcoin, given statistical analysis techniques deployed in the field of law enforcement, is pretty damned dumb.” The critical issue here is whether deployment of statistical analysis techniques or other methods to obtain information for regulators should be necessary in a well-regulated Internet gaming environment. It appears from the comments by the developers themselves and other analysts that the data is not easily produced to regulators within a short period of time. One advocate from Finland aired his concerns about Bitcoin, he said that we need a back door so that law enforcement can intercede. Bitcoin poses problems since it’s difficult to obtain the identity of the transacting parties. These sort of barriers must not be allowed to impede the work of regulators and law enforcement. As it is, Bitcoin is not a currency or a payment system that is ready for adoption in an online interactive gaming jurisdiction striving for best practices. In fact, it’s a great example of a new technology that must be approached with caution. It’s an interesting idea to make transactions non-reversible but the lack of transparency needs to be addressed. But, is it a safe deposit method to place bets online? Yes, for now it is. Most governments still construe it as a grey area since it’s still steeped in anonymity. Next Story →What Does A Cyber Gambling Agreement Entail?